Amanda R. Walker was born and raised in Louisville, Kentucky. She earned her Bachelor of Science degree in Political Science, with a concentration in Law and Public Policy, from the University of Louisville in 2006. 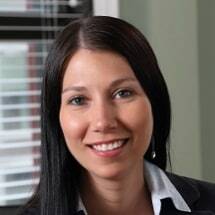 She earned her Juris Doctorate degree from Northern Kentucky University, Salmon P. Chase College of Law in 2010. While attending law school, she was a member of the Legal Association of Women and was the coordinator for the Chase Law Advocate Program. Ms. Walker is licensed to practice law in the Commonwealth of Kentucky. She is a member of the Kentucky Bar Association, the Louisville Bar Association, the Kentucky Justice Association, the American Bar Association, and the Labor and Employment Law Section of the American and Kentucky Bar Associations. Ms. Walker concentrates her practice in labor and employment law.